CHICAGO -- For someone battling depression, even the simplest tasks - like getting out of bed or brushing your hair - can seem impossible. 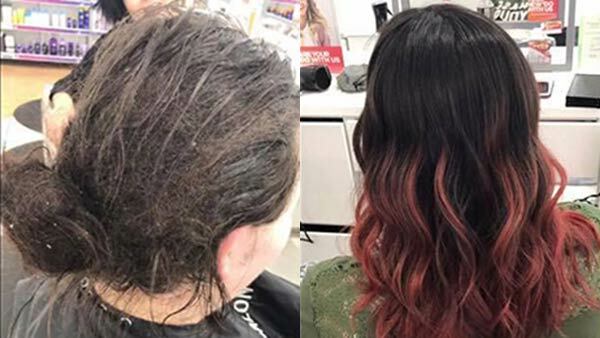 A salon worker in Oshkosh, Wisconsin, shared how she gave a client facing a debilitating mental illness a life-changing makeover. 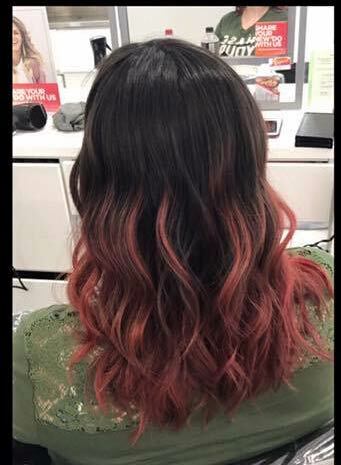 Kate Langman, who works at an Ulta store, said she met her future client as she was pulling bottle after bottle of hair products off the shelf. As she asked if she needed any help, the woman shared her story with Langman. "She couldn't get out of her bed for 6 months. 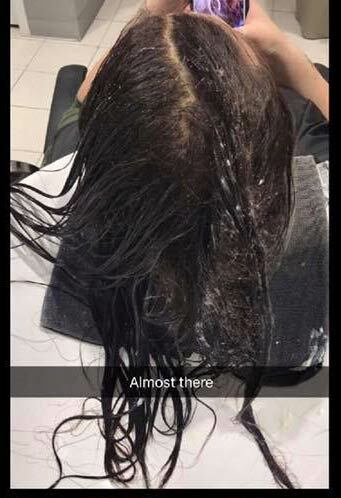 Which meant she didn't wash her hair or brush it," Langman wrote in a Facebook post that's since gone viral. 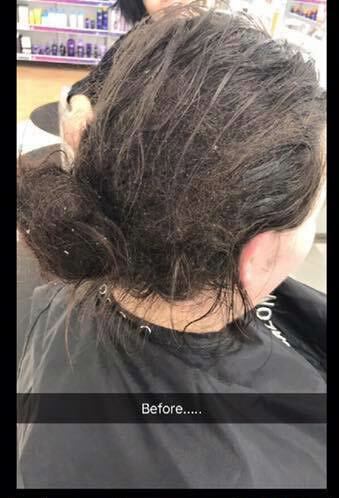 "She kept pulling it back into this bun which after that long of time turned into a huge dread lock. The bun was so matted that it felt like she literally had rock on the back of her head." 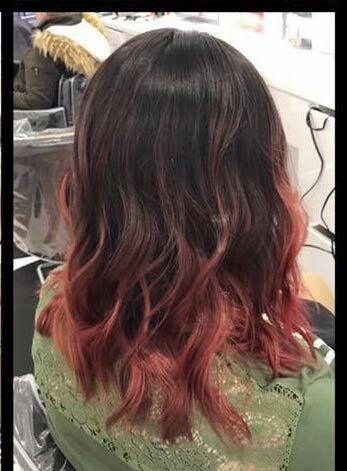 That's when the 22-year-old worker suggested she put away the products and make an appointment with her at the salon for the following day. She didn't show up, but called back a couple weeks later and made another appointment. Once again, the woman didn't come in. "At this point, I figured she wasn't going to ever end up coming in. It actually, kind of, broke my heart. I wanted to help her so much," Langman said. Then one day this month, the woman came into the store while Langman was working, hopeful she could get a same-day appointment because she had finally been able to get out of bed again. "I, of course, said yes. I didn't care how late I stayed, I wanted to make sure she got taken care of," Langman said. Though she acknowledged that most stylists would have wanted to cut off the matted hair, Langman said the woman hoped to keep it long. Eight-and-a-half hours later, Langman had transformed the woman's hair - with more than half of that time spent detangling it with a comb. She said all her effort was all worth it to see the woman's face as she ran her fingers through her hair. "If this ever makes its way back to her, I want her to know how great, wonderful, kind, loving, and how strong of a person she is. And not only those things, but how beautiful she is.. she deserves nothing but happiness," Langman said.